You can count on us Day or Night! 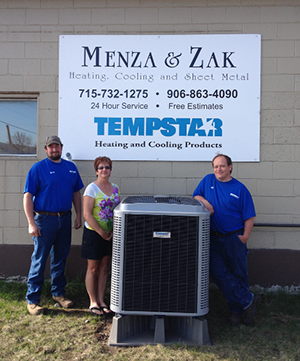 We want to SAVE your money on YOUR furnace or Air Conditioner. Call us for a Bid Request or Additional Information. We're here to help you! 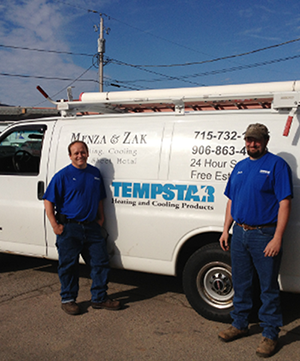 We are your all inclusive heating and cooling specialists. Our company has over 35 years of combined experience. Your satisfaction is our number one priority! Have you had your Chimney Checked? What Happens when your filter clogs up with debris? The effects of a clogged HVAC air filter in your air conditioner or heat pump can cause failure of the system operation that will result in a call for an air conditioner repair service. An ac, heat pump, gas furnace, electric furnace, or even an oil furnace needs the proper amount air flow across the coil or heat exchanger to operate properly. When the filter clogs the air flow is minimized the blower works harder and harder to pull the proper amount of air across the coil or heat exchanger. 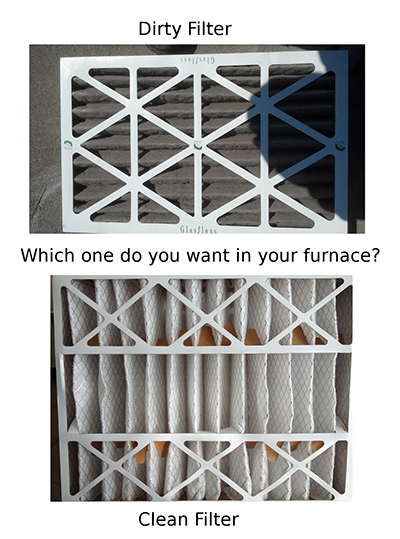 What are the effects of a clogged filter in your HVAC system? 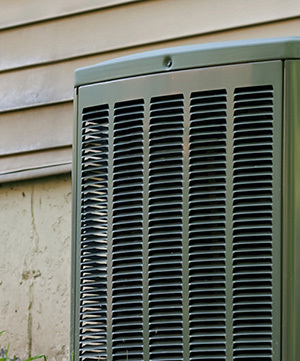 1.Cause your air conditioner to stop cooling 2.Cause your air conditioner to freeze up and when it thaws the water from the melting ice can overwhelm your condensate drain and cause water damage. 3.Cause a serious mechanical issue with your compressor in your air conditioner or heat pump technically referred to as liquid slugging. 4. Cause your furnace and/or heat to stop heating.